Around 10:30 Tuesday morning, an Indiana State Trooper with Commercial Vehicle Enforcement stopped a tractor-trailer at the eastbound scales located at the 1 mile-marker for a routine DOT inspection. During conversations with the driver the trooper noticed several criminal indicators. After consent from the driver, a search of the tractor-trailer was conducted. Troopers found 220-pounds of suspected cocaine and 65-pounds of suspected methamphetamine. The drugs were located inside the trailer in travel bags. Estimated street value of the illegal drugs is approximately $5-Million. The tractor-trailer was loaded with aluminum crates and was traveling from California to Ohio. 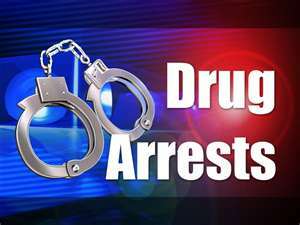 The driver of the commercial vehicle, 22 year-old Ravninder Singh of Bakersfield, California, was incarcerated in the Vigo County Jail on charging of Dealing Narcotics and Possession of Narcotics.